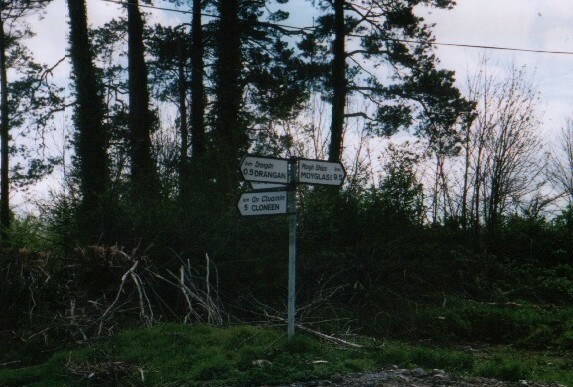 The signpost at the road leading to Cody's Field. Hello Bob, I'm not sure if this is an open forum. This is the first web site that shows pictures of Drangan that I have seen so far. My family the Connells are buried at St Mary's Cemetary. They lived at Kyle near Michael Hall's farm. My Grand Mother's Christian name was Molly and she Married Denis Conway. I am looking for any information regarding my family.